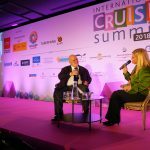 The eighth edition of the International Cruise Summit, held on November 27 and 28 in Madrid, outshined previous editions, and confirmed the ICS as place to be every year on the discussions and the business to business agenda of the cruise community. A breaking record of more than 400 attendees gathered and learned about an industry which continues to grow, its opportunities and challenges along with the most relevant cruise industry community executives. The Opening of ICS began by keynote address from Ornella Chacón, President of the Spanish Port Authority. Mrs. Chacón highlighted the Spanish Government investment on PRF´s and on the importance of the cruise industry for thousands of people working in Spanish ports. Opening ceremony was addressed by Isabel Pérez Sauquillo, Deputy Marketing Director of Spain´s Tourist Office Turespaña, Marta Blanco, Managing Director Madrid Regional Government, Ivan Gonzalez, Madrid City Council´s Tourist Office Manager and Cruises News Media Group CEO, Virginia Lopez. Dingle explained on his remarks: ‘Two weeks ago the city of Amsterdam decided to impose an €8 per head passenger tax on cruise ships staying in port 24 hours or less starting from 2019.’ He went on, ‘with its 125,000 transit passengers a year if you times that by €8 each that roughly will bring in €1m which happens to neatly fill a hole the city has in its budget.’ If ships were to stay longer than 24 hours then the new tax increases to €16 per passenger. Gianluca Suprani, Head of global port development and shore activities at MSC Cruises, confirmed that his company has taken the decision to withdraw calling in Amsterdam next year and instead will place those planned overnight calls in Rotterdam. ‘Amsterdan took a decision, we took ours’ stated at his panel discussion. ‘We decided to pull our capacity in 2019 and as a result Amsterdam city stands to lose between €50-100 per passenger contribution of potential spend,’ Suprani mentioned to the trade media attending the event. 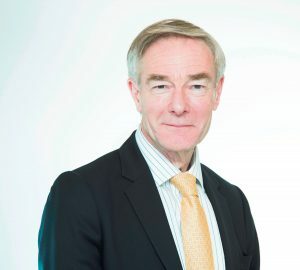 On the other hand, in a new head to head interview session format with MedCruise president Airam Diaz Pastor, Michael McCarthy chair of Cruise Europe – of which Amsterdam is a member – called the CLIA Europe chairman’s remarks ‘unfortunate and unwarranted’. The opportunities and sustainability generated by cruise ships in destinations, the rise of new companies and brands, the new ships in order, the potential in customer experiences and luxury were also the key takeaways of this successful event owned by Cruise News Media Group. Industry professionals concurred that communication between ports, destinations, port associations and cruise lines should be improved, as well as explaining to local communities and mainstream media the benefits of cruise tourism in terms of economic contribution, employment, and tourist development. In a very instructive presentation, Esther Mallach, partner of the German environmental management company Arnecke Sibeth Dabelstein, explained how the cruise industry is far ahead and beyond environmental sustainable footprint compliance compared to other travel sectors. However, it is not communicated correctly, and much worse, the stereotype persists that cruises are large pollutants. In its newly renovated program, and showcasing ICS compromise with CSR policies, the Summit put an interesting presentation for delegates of the NGO SOS Méditerranée. The NGO explained its humanitarian work and distress at sea in the Mediterranean waters. The 8th edition of the International Cruise Summit has also stood out for the multitude of business to business opportunities generated. Business delegates all over the world were able to interact with the speakers and panellists in a business environment where the networking opportunities improve year after year.